SLINGERLANDS Avis Randall (Gibbs), 92, daughter of the late Kenneth C. Gibbs and Beatrice C. Wilder, died Sunday, July 30, 2017, at the Eddy Village Green. Born in Albany, and raised in East Greenbush, she attended Columbia High School the first year it opened. After graduating, she went to work at John Hancock Insurance, where she met the love of her life, John Randall. They moved to Westmere, raised two daughters and together created many beautiful flower gardens. In 2010, fellow members of the Hudson Adirondack Daylily Society (HADS) toured their gardens, including their 250 varieties of day lilies. Apart from spending time with her family and in her gardens, Avis loved playing the piano, camping, skiing, biking, drives in the country, and any outdoor activity, even winter picnics! She and John also loved wintering in St. Augustine, Fla. Before the advent of the Internet, she worked tirelessly on genealogy to create detailed family histories by poring through records in the State library and visiting cemeteries. 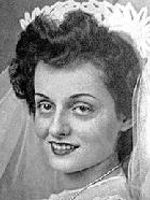 Avis was predeceased in 2011 by her loving husband of 62 years. She is survived by her two devoted daughters, Cheryl Randall (William Carpenter) and Debra Randall (Peter Umbrianna); grandchildren, Evan, Robert (Bessy), and Emily LaPann (Luis Aceves), Megan Carpenter and Amber Carpenter- LaGattuta (Paul); her cousins in Vermont, and many nieces, nephews. She will be dearly missed. The family would like to thank the special women who helped Avis stay in her home after she was widowed: Debra Turner and her daughters, Maria Delugo, and Coyle Wood. Also, thanks to EVG at Beverwyck for their compassionate end-of-life care. Funeral services will be held in the Hans Funeral Home, 1088 Western Ave., Albany, Thursday at 10 a.m. Pastor Jeffery Matthews will officiate. Interment will be in Graceland Cemetery, Albany. Relatives and friends are invited, and may call at the funeral home, Wednesday from 4 until 7 p.m. Those who wish to may make memorial contributions to Mohawk Hudson Land Conservancy, mohawkhudson.org. To leave a message of condolence for the family or obtain directions to the funeral home, please visit HansFuneralHome.com.